Spiceberry Home clay pot cookware is perfect for preparing your favorite Asian or Western recipes. It is oven safe to 500-degrees and can also be used on a gas stovetop. (Not compatible with electric or induction stovetops.) It also looks great on the table. These dishes are glazed ebony black and high fired for long life and durability. 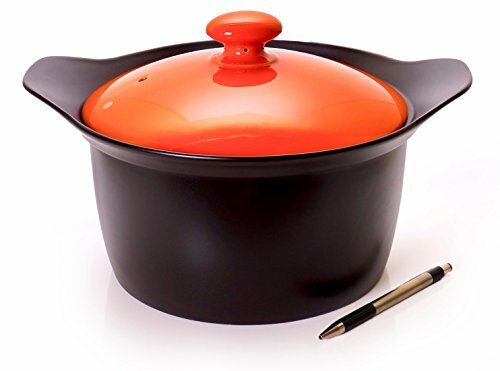 While perfect for Hong Kong style clay pot or Japanese Donabe specialties, this cookware is also perfect for anything you would normally use a dutch oven for. Hand wash.
High Fired, glazed Ceramic is durable and resistant to breakage and chipping. Non Porous. If you have any questions about this product by Spiceberry Home, contact us by completing and submitting the form below. If you are looking for a specif part number, please include it with your message.